The original John Doe investigation into Scott Walker and his staff, commonly referred to as Walkergate, resulted in six people close to Walker being convicted on assorted crimes. One of the most prominent of those arrested and convicted was Kelly Rindfleisch, who Walker hired to be his deputy chief of staff while he was Milwaukee County Executive. Based on the emails and other court documents, Rindfleisch's primary responsibility was to do fundraising for Walker and Brett Davis, who Walker wanted to be his lieutenant governor. 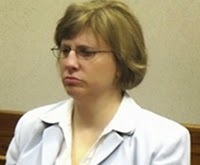 Rindfleisch was convicted of misconduct in office in a plea deal. Even though her sentence was a slap on the wrist, she immediately appealed her conviction. When she lost her appeal, she appealed it to the Wisconsin Supreme Court. The state Supreme Court has rejected an appeal from a former aide to Gov. Scott Walker when he was Milwaukee County executive. Kelly Rindfleisch, who was convicted of misconduct in office for doing campaign work while at her county government job, had appealed her conviction to the state's highest court in December. The move came after a state appeals court upheld her conviction in November, when a three-judge panel rejected her argument in a 2-1 decision. On Monday, the Supreme Court denied her petition. Justice David Prosser did not participate. This decision has significance on several different levels. First, it means that Rindfleisch will finally have to pay her debt to society for her crimes and have to serve her six-month jail sentence and three years of probation. She will be the third person convicted out of the Walkergate investigation that will have spent time behind bars. Secondly, despite his protests to the contrary, Walker knew full well about the secret email system and the illegal activities his staff were conducting. Hell, he was directing them. Thirdly, it should be noted that Walker knew that this would be damaging to him, which led him and his friends to fund Rindfleisch's legal defense. Fourth, the fact that Walker had the audacity of a dope in attacking Hillary Clinton over her supposed email scandal shows just what a hypocrite and weasel Walker really is. Fifth, it is interesting in itself that the Supreme Court chose not to even hear the matter, especially since Rindfleisch's defense was that the scope of the investigation was too broad. This is the same argument being used in the John Doe cases that the Supreme Court will be hearing later this year. In the same sense, it is worth noting that Justice David Prosser did not participate in the decision. While it could be that he was on vacation or out practicing his choke holds, it could also be that Prosser is tied in with Rindfleisch. We do know that Prosser had questionable activities happening on his most recent reelection. With all the other gaffes and missteps that have been plaguing Walker and his campaign, the last thing he wanted was to have this reminder of the corruption he oversaw popping up. Personally, I don't think that it could happen to a more deserving person. I still haven't heard an explanation of how Rindfleisch landed a "marketing" job with Walker mega-donor Michael Eisenga. The Wisconsin media may be too paid off to draw the connection, but maybe the national people may be inclined to follow the money. another walker associate with out integrity. just look at her. makes me want to trust her. "Fifth, it is interesting in itself that the Supreme Court chose not to even hear the matter, especially since Rindfleisch's defense was that the scope of the investigation was too broad. This is the same argument being used in the John Doe cases that the Supreme Court will be hearing later this year." Ms. Rindfleisch's priority status appears to have been bumped by the Bradley Foundation, the Koch brothers, and the oligarchs. She can join the other 6 Felons from the Walker adm.
You are reading too much into this and trying to put a positive spin, just like your constant speculation of Walkergate and the "dumpster -'O-Fun. Nothing could be further from the truth. Prosser, to avoid creating more controversy when he refuses to recuse himself for pending Scott Walker campaign and dark money special interest groups, like the Wisconsin Club for Growth, did not hear this case. Of course he is linked to Rindfleisch. Psycho-Judge Prosser only escaped criminal prosecution in the Caucus scandal because the statue of limitations had passed. Rindfleisch was a key player in that criminality and escaped prosecution because she was granted immunity. Once Prosser does not participate, the court is evenly spit 3-3. These is no reason to hear the case, especially if the republican majority is going to dismiss the probe, conflicts of interest be damned. So this does not give any indication on how the court will look at the same issues in the pending court cases. If anything, it indicates that justices have no intention of recusing themselves and that we can expect a partisan decision with the republicans again siding with out-of-state multinational corporate interests that underwrite Scott Walker and the republican austerity-for-you massive public subsidies for billionaires. There is no doubt that Prosser will not recuse and that he, and the majority of republicans on the court, will strike the John Doe probe. Psycho-Judge David Prosser was Scott Walker's mentor in the assembly. So let the CHOKE-A-PALOOZA BEGIN! You sound like the troll that offered the 10:50 entry to the above O'Keefe posting, as well as the one who just told us that you weren't an attorney and didn't play one on TV. You're not very good at playing a Democrat, either! not a democrat -- but not pro-Walker nor a repug either. Every election, I pull a lever and a lemon comes out. Us progressives have no real choices. Every election is "vote for me or I will shoot this puppy". The point, that your feeble mind cannot acknowledge (and you are wrong with each guess you make on my identity) is that Capper posted an awful lot of speculation about John Doe. He was wrong all the time. Sorry, that's the way it turned out. He generated a lot of page views, but the arrogant posts that misrepresented what was happening were not helpful. The constant "dumpter-o-fun" line was just dishonest. Reading anything into the recent decision to not take this case says NOTHING about the issues in cases that are pending. There was no reason for Wisconsin Supreme Court to tip its hand on how they will rule on Doe cases (they will shut down the probe and no one will recuse). It is a grave mistake to misread how the judicial process works -- or in this case -- does not work. Capper is dead wrong when he speculates that this has anything to do with the issues before the court on the John Doe cases they have accepted. You at 9:25 "...we can expect a partisan decision with the republicans again siding with out-of-state multinational corporate interests that underwrite Scott Walker and the republican austerity-for-you massive public subsidies for billionaires. ..."
That completely undercuts what you claim at 5:22 "....The point, that your feeble mind cannot acknowledge (and you are wrong with each guess you make on my identity) is that Capper posted an awful lot of speculation about John Doe. He was wrong all the time. Sorry, that's the way it turned out. He generated a lot of page views, but the arrogant posts that misrepresented what was happening were not helpful. The constant "dumpter-o-fun" line was just dishonest...."
The net of your 9:22 is that Capper was right about everything, that it took a crooked State Supreme Court to "fix it." Given how you, obviously an attorney, labeled members of the State Supreme Court, I hope no one ever figures out your real identity. Did you comment from work? I merely pointed out that I found it interesting. You are reading more into it than I wrote. And the things I wrote about with Walkergate, including the Mystery Dumpster O'Fun were factual and accurate. No, the results of the investigation were not all what we hoped for, but the facts of the matter are still true. You claim to be a progressive, but it seems more like a concern troll to me. Capper, I think Anonymous is sincere, and merely perceiving another motive on Prosser's part than you are. His speculation seems credible to me: would Prosser be willing to throw Kelly Rindfleisch under the bus for now, to allay suspicions that he and the rest of the Court will decline to recuse on the main probe decision later? Of course he would. It would be taking a page from Walker's own playbook, "Govern by surprise." Capper - you should turn your State of Wisconsin flag upside down -- Wisconsin is in serious trouble! Anyone that does not agree with and worship capper is a concern troll!?!?!?!?! Your blogging about John Doe I and II was over the top, overly-speculative, and added nothing to a reasonable dialog. It was largely false, not surprising, becuase it wasn't based on facts. The "dumpster-O-fun that was a constant meme here was a flat-out lie. The commenter above is right, you generated a lot of page views with irresponsible and, with hindsight, entirely misleading proclaimations about criminal probes. When either side grandstands and postures, creating false narratives, they need to be called-out. Guess you are upset that a rational perspective of SC declining to hear a small-time criminal's case appeared here instead of more of your baseless and irresponsible speculation. Anon 9:25/5:22 nice try at a sock puppet, but imho "overly-speculative,...entirely misleading proclaimations about criminal probes....baseless and irresponsible speculation." kind of gave you away. Since you keep bringing it up, thanks btw, how do you know Capper's wrong about the "dumpster-O-fun"? No one brings it up. Only someone very close to the case would be privy to such information/evidence. One of the issues you haven't addressed is why one of Judge Randa's rulings contained instructions for "the destruction of any information and materials gained in the investigation." I don't want to be "overly-speculative," so I'm sure we'll agree that certainly doesn't prove there was a dumpster. It also doesn't rule it out.